You can see the reverse-mohawk pretty well in these. 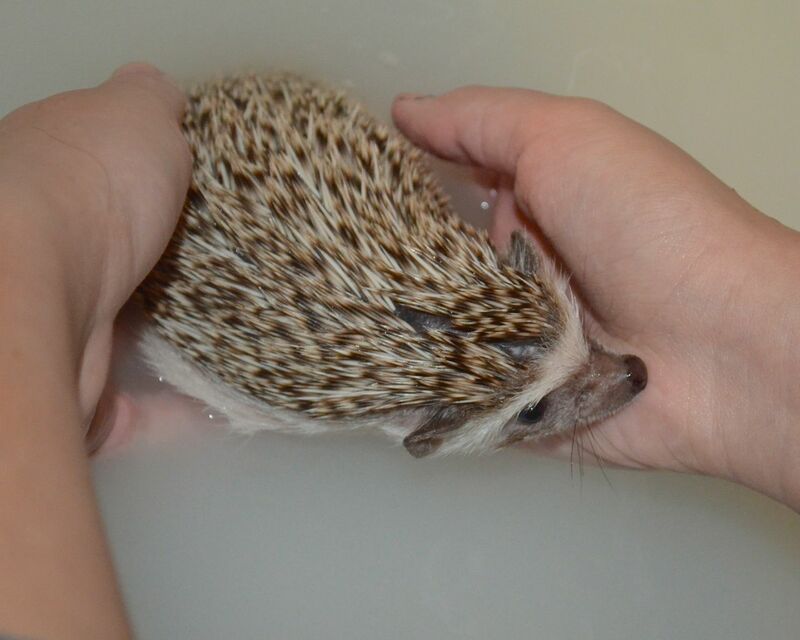 The reverse mohawk is a bald stripe along the top of the head that allows them to cross their quills when they ball up. 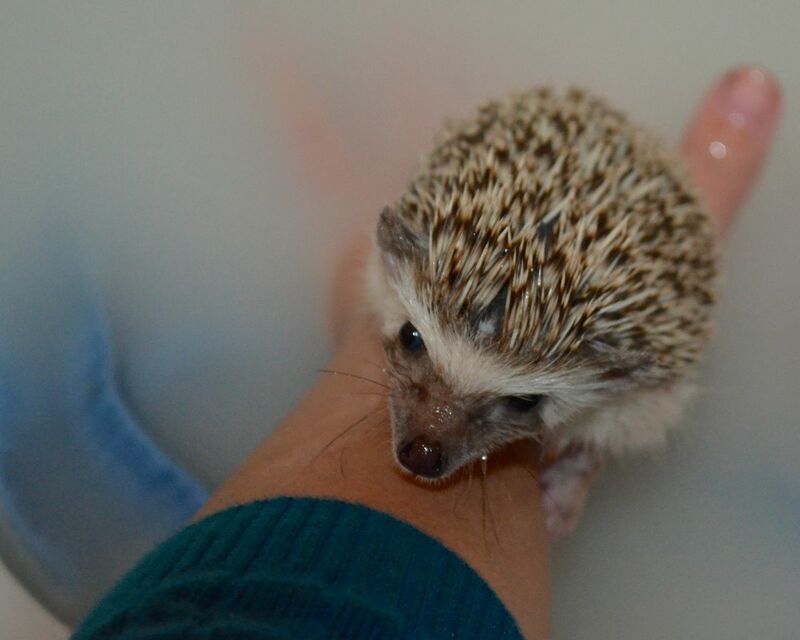 This entry was posted in Hedgehog and tagged African Pygmy Hedgehog, awesome, bath, hedgehog, reverse mohawk. Bookmark the permalink.